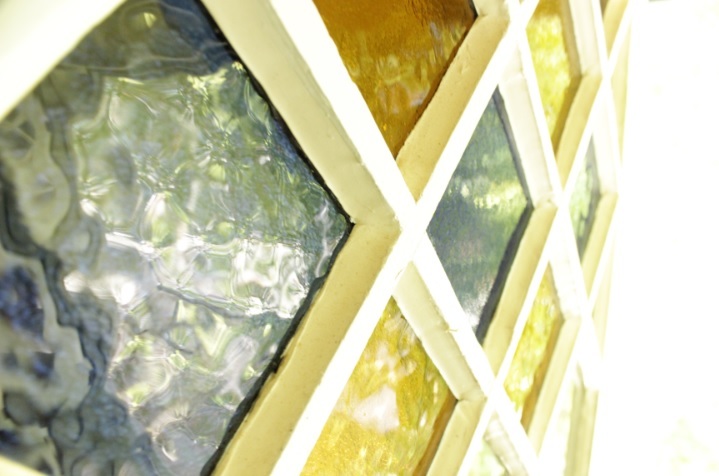 If the ‘mechaniks’ who made our windows and doors in the 19th Century were here to see what we have available in materials today, I believe they would like to try some of what has been developed. Silicone bulb seals, Urathane and Elastomeric sealants, interlocking metal weather strip, Acrylic primers and topcoats, two part restoration grade epoxies…are some these impressive innovations; but then much of what they might see used today, I believe would be put aside. 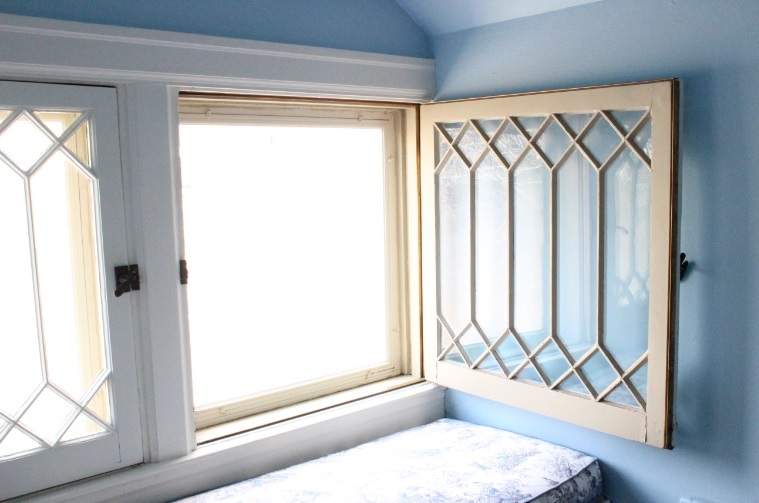 We have restored older windows using a number of products only available during the modern age. 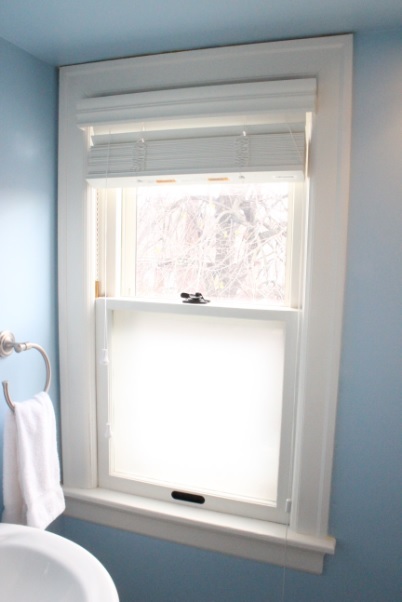 In so doing, we see such positive results I sometimes wonder at the madness of the modern industrial age, when instead of hurrying to replace windows, all that was really necessary is to upgrade at each opportunity for maintenance and repair. The glass to wood junction, today commonly filled with vinyl based “putty”. 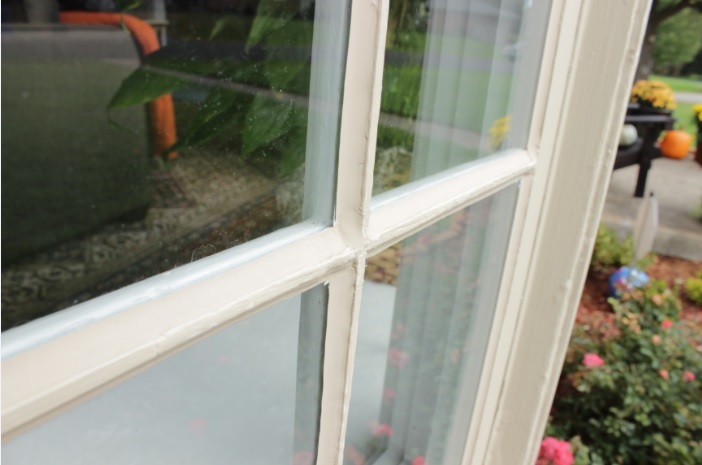 When the tiniest break in the glazing compound occurs, dew or frost drips into gap and the wooden sash begins to absorb moisture. Let the moisture content of the wood grow above 20% and the natural growth of fungi is begun. 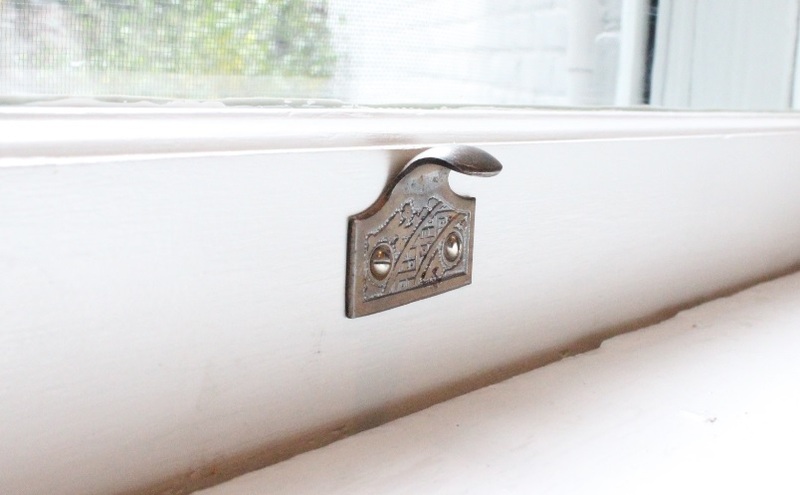 Small breaks in glazing or caulk joints are doubly bad for not only do they allow moisture in, but they do not let it breath outward. 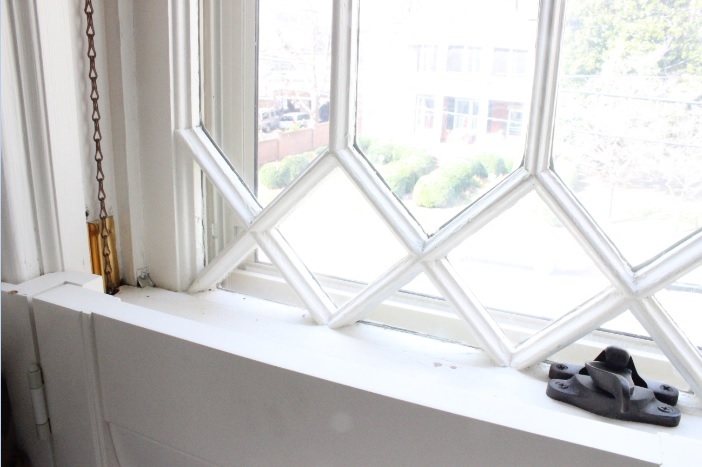 Our use of modern silicone and eurothane based sealants for glazing “putty” produces finished sash that will stand up to weather conditions without worry of failure. Ever notice the side of a building that has been stained by paint that was once a part of the coating of woodwork above it ? 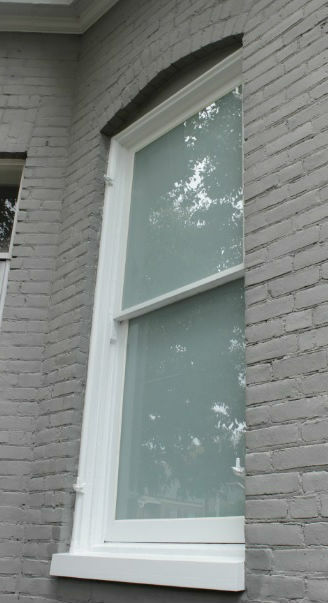 Keeping moisture off the surface of window units is the job of flashing. 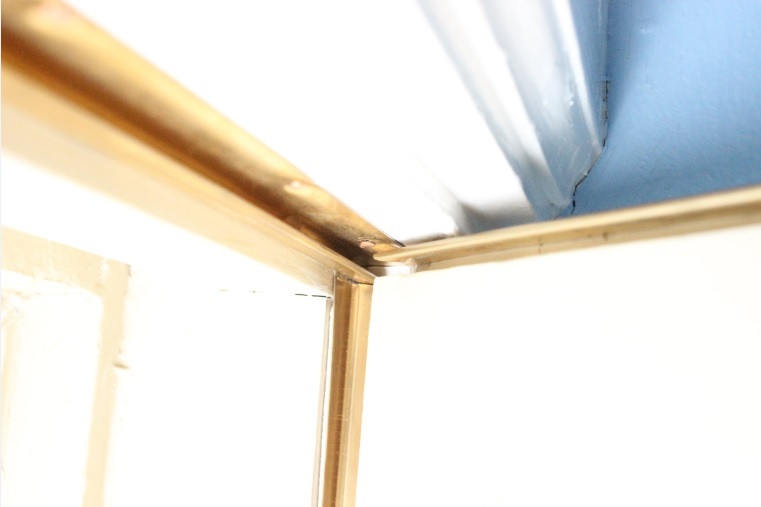 We use copper flashing to protect the head of most window openings which show this need. Further protection is ensured by making sure rain drips are placed at those surfaces which are prone to wick in water. 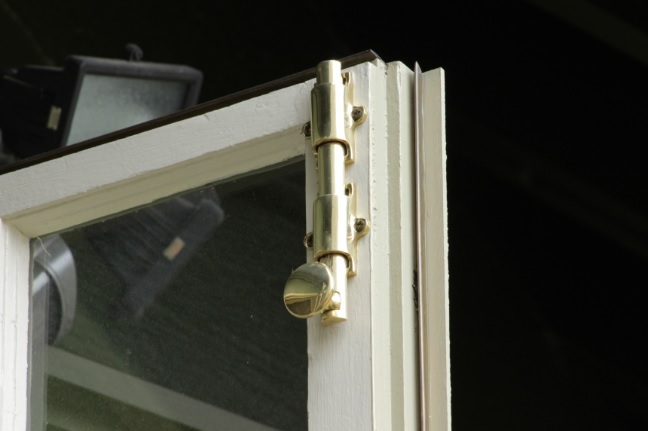 Finally, the silicone bulb seal has demonstrated to us it’s ability to break the wicking of water up into the underside of the most vulnerable of sash locations, the lower rail in the lower sash of a double hung configuration. 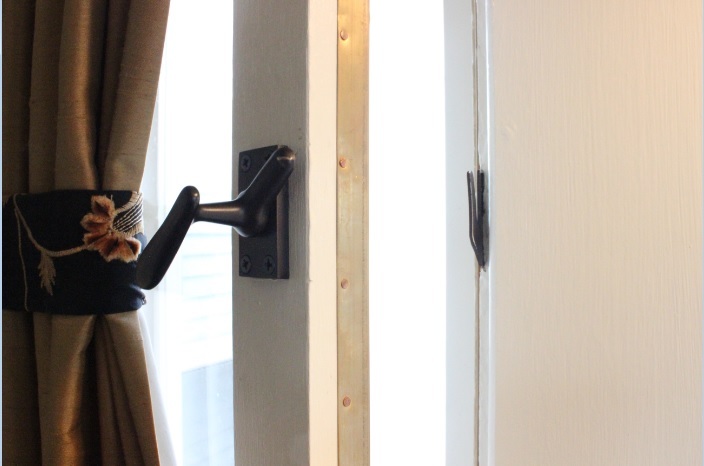 We install these seals with an eye toward significantly extending the paint maintenance cycle. 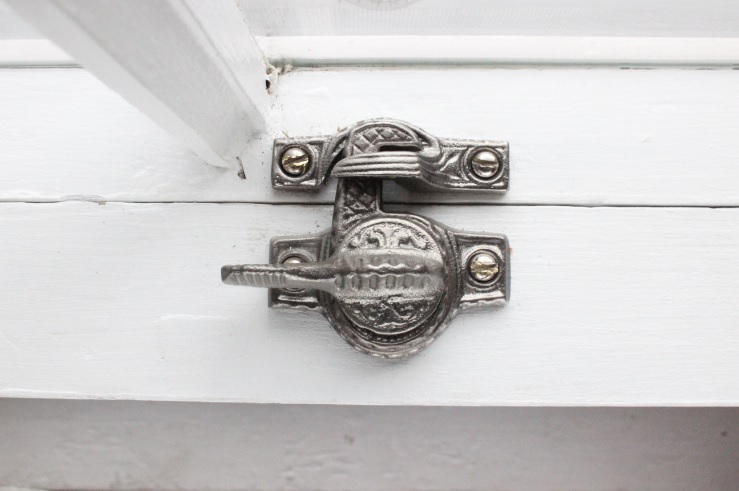 While retrofitted into many Victorian, and Arts and Crafts, windows and doors after they were originally made, we have not found any material that makes as durable a seal and yet frees the units to operate without binding. 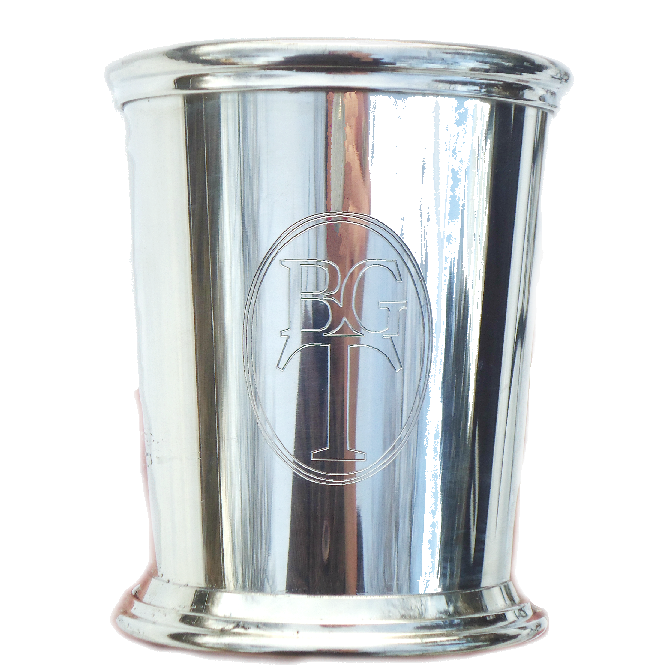 Our source of this material is Accurate Metal of Mt Vernon, NY who has operated since 1890. 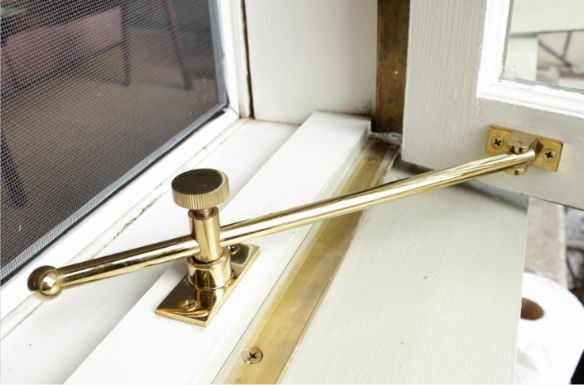 Originally called ACME, the family run business is in it’s 5th generation still providing high quality material in solid bronze, brass, and zinc.